Whether you’re removing snow from your driveway, making work deliveries in cold pouring rain, or just attending a chilly outdoor event, you run the risk of getting a cold stress-related injury if you’re not properly protected or adequately prepared. So it’s important to understand how cold stress can set in and how to insulate your body when faced with prolonged exposure to cold and wet conditions. What is cold stress and what causes it? Cold stress is a condition that occurs when the body can no longer maintain its normal temperature, and it can lead to serious problems of frostbite, hypothermia, or even death. Cold temperatures are the main culprit for causing cold stress, with other contributing factors being high or cold winds, dampness and cold water. Cold weather conditions cause the body to use its energy to maintain its core temperature of 98.6°F, directing blood away from the limbs (hands, feet, arms and legs) and skin to the chest and abdomen. With less blood flowing to the extremities and skin, they become susceptible to frostbite. Hypothermia sets in if the body’s temperature drops below 95°F. These conditions are dangerous and require first aid and medical attention. What is thought of as “cold” actually varies depending on geographic region. A 35°F day in a location that is typically sunny and 65°F can be very uncomfortable for unprepared, un-acclimated people. In a more northern region, 35°F might be considered T-shirt weather. It’s important to understand that cold stress is associated with extremely cold situations that pose a health and safety risk. Maintaining comfort level versus protecting against a legitimate health hazard requires different actions. Something as simple as wearing an additional sweater can improve comfort, while shelter, scheduled breaks, and self-monitoring address the concerns of a hazardously cold environment. How does wind chill affect cold weather? Another important consideration of cold weather is wind chill. Wind chill is a single value that takes both air temperature and wind speed into account. For example, when the air temperature is 40°F and the wind speed is 35mph, the wind chill temperature is 28°F, meaning it will feel like 28°F instead of 40°F. This measurement is the actual effect of environmental cold on exposed skin. As wind speed increases, the amount of heat loss from your skin increases and body temperature starts to decline. Wind chill advisory, watch, warning — what’s the difference? So before heading outside on a cold day, take note of what the weatherman has to say about the wind chill so you’re prepared. What’s the best way to keep the cold away? Choosing adequate cold weather wear is the first line of defense against cold stress. Wool, silk, and synthetic fabrics retain their insulation even when they get wet. Cotton, on the other hand, is not the best choice in wet conditions as it loses insulation when it gets wet. Avoid tight fitting clothing. Wear three layers, at least, of loose-fitting clothing for better insulation. Keep moisture out with an inner layer of wool, silk, or synthetic fabric. Stay insulated with a middle layer of wool or synthetic fabric. Allow for some ventilation with a winter coat or rain jacket. Wear a hat or hood to reduce the amount of body heat that escapes from your head. If needed, wear a knit mask to cover the face and mouth. Wear insulated gloves to protect hands. What else can I do to prevent cold stress? While proper clothing is essential, it’s important to monitor your physical condition while you are out in the cold. Notice if you are shivering, stumbling, confused or have other abnormal behaviors, as these are some of the signs of hypothermia. Areas of skin that are red, tingling, stinging or numb are some of the signs of frostbite. Both hypothermia and frostbite have several stages, so it’s important to seek shelter, warmth and help as soon as you notice anything wrong. Avoid touching cold metal surfaces that can draw heat away from your hands. Schedule frequent short breaks in a warm dry area to allow the body to warm back up. Use the buddy system and work in pairs or groups. Drink warm, sweetened beverages (not alcohol). When cold weather hits when you’re at home, work or just out having fun, take these safety precautions against cold stress to help keep you safe, healthy and warm. 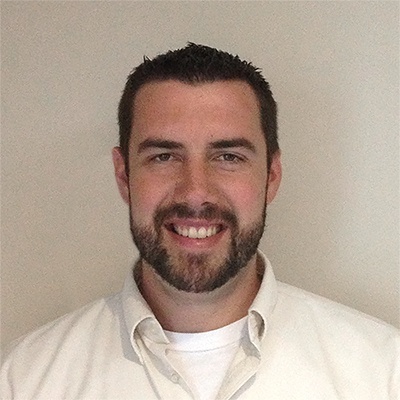 Jared Meyer, Health and Safety Manager at WESCO, is a Certified Safety Professional with over 10 years of experience in the utility, manufacturing, and distribution industries. Jared holds a Master’s Degree in Safety Sciences from IUP and is dedicated to continuous improvement in the health and safety field.